It is a video-game lover’s paradise: a comfy couch, throw pillows, and a giant flat-screen TV. Except while players try their hand at these games, a Microsoft researcher watches every move through a tiny camera from a monitoring room across the hallway. In the usability labs at Microsoft headquarters in Redmond, Washington, researchers gather real-time data on user experience with games and technology. 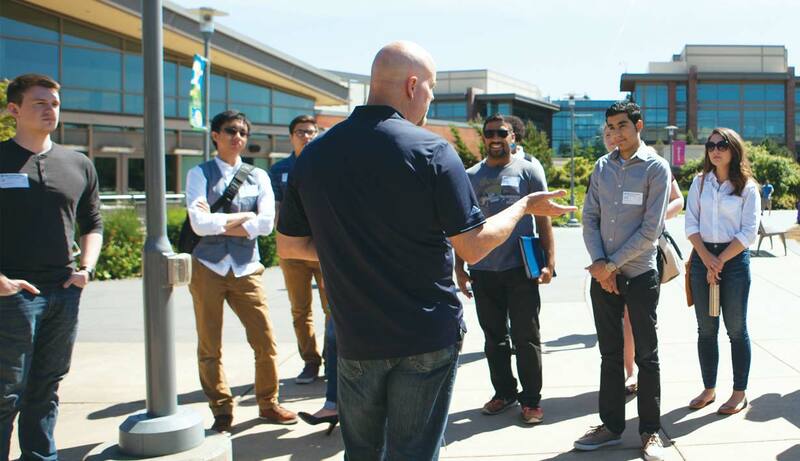 This May, 70 graduate and undergraduate students toured the labs during SPU’s Microsoft Career Trek. They met with employees working on Xbox, Microsoft Band, HoloLens, and Surface Book, spoke to Microsoft HR representatives, and networked during an SPU alumni reception, sponsored by SPU’s Office of Alumni and Parent Relations. Organized by SPU’s Center for Career and Calling, these Career Trek events give students a firsthand look at employers like Nordstrom, Zillow, and Tableau.